Wos & Wos Development Corp. - focuses on active management of each phase of the acquisition and development process. Actively coordinating the relationship between the Finance, Legal, Design and Construction teams, allows Wos & Wos to expedite critical phases of the process. The principles share a common belief in personal integrity, the value of a superior product, workmanship, design, and the need to provide dependable, professional services to their clients. Konrad P. Wos - brings twenty-five years experience in real estate development, strategic consulting and project management to his work. The managing partner of Wos and Wos Development Corporation, Mr. Wos has a broad range of expertise including; acquisition, financing, development, sales & marketing, and management of residential and commercial properties. He has been involved in strategic site evaluations, office building feasibility studies, adaptive repositioning of corporate facilities, warehouse distribution, retail and parking facilities in Eastern Europe, environmental due diligence reports, entitlements approval processes and coordination of design, engineering and construction professionals. Mr. Wos brings a unique combination of skills to the solution of complex undertakings. He served on the Corporate Boards of non-profit local development corporations where he assisted in real estate financing and corporate funding. Formerly a senior architect with the New York firm of Voorsanger and Mills, his design work was featured in the New York Times and Architectural Digest. A graduate of Cornell University with a Bachelors of Architecture, Mr. Wos holds a Masters of Architecture from Princeton University. He completed the Real Estate and Finance Investment Analysis program at NYU SCE. He is also an award winning boutique wine maker. Paul Z. Wos - as President of Paul Wos Construction Corporation has for the last forty years been involved in the construction of numerous commercial and residential projects. His credits as field construction manager include the construction of the thirteen-story Hofstra University Library Building and Bridge in 1963 and 1964, and as general construction manager, the erection in 1975 of three meat processing plants in Poland. 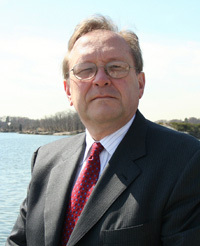 Paul Wos retired from active management of the firm in 1995. Home | Company Overiew | Real Estate Consulting Services | Additional Resources | Contact Us Copyright @ 2008 Wos & Wos Development Corp.